African violets can be difficult to grow when you are not prepared to give them the best care. Some of the care that you need to be aware of includes the soil that you plant your African violets in. I have found that these plants like a good combination of moisture, nutrition, and air in the soil to grow best, but which type of soil will help the plants thrive the most? This guide is designed to help you find the perfect soil for your African violets. 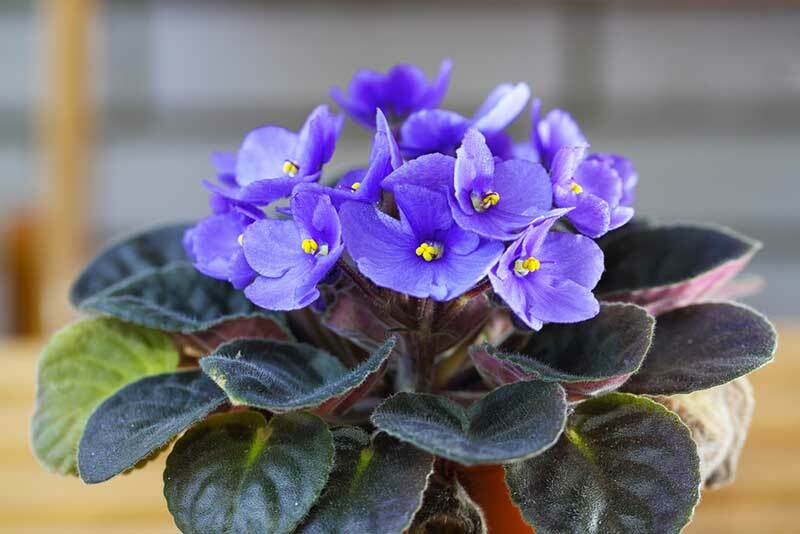 African violets tend to grow the best in porous soil that is well-draining, but that will depend on the heat and the humidity that the plants are receiving. If your home is less humid than is recommended for these plants, you will need a potting mix that is high in organic matter so that the soil does not dry out too fast. 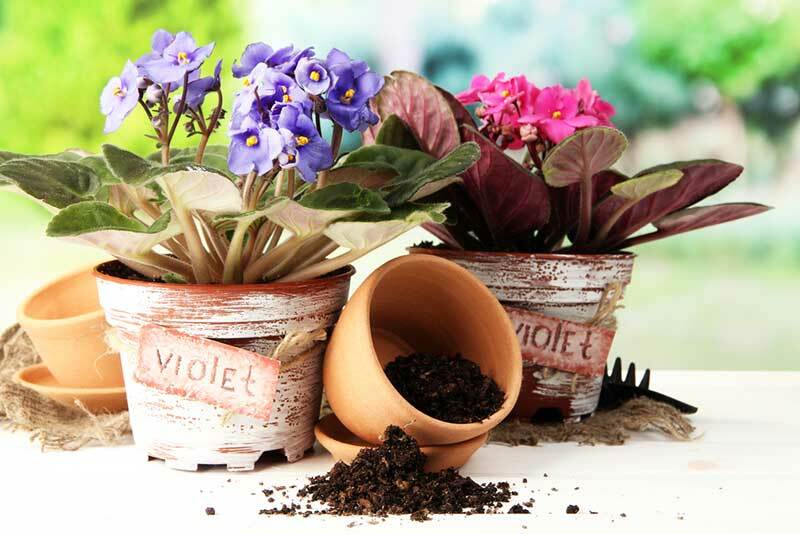 Potting mixes that are designed for African violets tend to be a bit more acidic than other types of soil, but they also have most of the nutritional components that the plant needs to grow. Since these plants like to have an airy surface to grow from, a soilless mix will probably provide the well-draining, airy mix that is going to be ideal for the growing process. Most of these soilless mixtures contain sand, peat moss, perlite, or vermiculite. 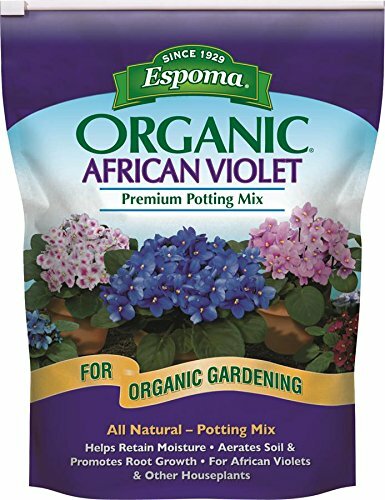 When you use this type of mixture, which is a common choice for those who have an entire garden full of African violets, you will need to add fertilizer to the mixture about once a week. If you are not fond of the types of soil mixes that you can get from the store, you can always attempt to make your own mixture at home. Before you begin, make sure that all of the ingredients are pasteurized so that the plants grow well and do not get sick. Doing this will minimize the number of pests that grow in the soil as well as get rid of any diseases that the soil may have already. How do you pasteurize soil? Well, it is quite simple, and it is actually something that you can easily do at home. Start by filling up a large roasting pan with soil. I prefer to use a disposable option that I can simply throw away when I am done with it. Then, cover the pan with aluminum foil. With the oven at a temperature of 180 degrees Fahrenheit, you will need to bake the soil mixture for about an hour. Use a meat thermometer to measure the temperature if you need. Make sure that it does not rise to higher than 180 degrees Fahrenheit because temperatures that are too hot will kill the good bacteria in the soil as well. Once the soil is cooked, remove the aluminum foil and let it sit to get air for four full days. Make sure to stir the soil a few times each day as well to increase the amount of air that it gets. Hopefully, this guide has helped you determine the best soil mix to use for your African violets.